We all have a voice inside ourselves that we listen to. It’s always there running in the background of our brains. It’s often critical and harsh, and judgmental to ourselves. We don’t necessarily get to decide what some of those voices are when we are younger. You have your parents voices in your head, you have your grandparents voices, and some other family members as well. You might have a few teachers voices in your head, if they touched your heart, or taught you a lesson in any way. Your minds built like a computer that’s been programmed during the years of your life. Most people don’t even know that they can change the voice. I am here to tell you, that this chic right here is living proof that you can change your mind. You can change your thoughts, you can even change your stories that you’ve been telling yourself for years. I used to beat myself up daily, and actually believe the stuff I was telling myself. You need to learn how to love yourself and truly open your mind to another path. A more positive way to talk to yourself! How you truly feel about yourself matters, in more ways than one. If you do something stupid or make a mistake, do you begin to berate yourself? Do you say things like “that was really stupid!”, or “you are so dumb”? 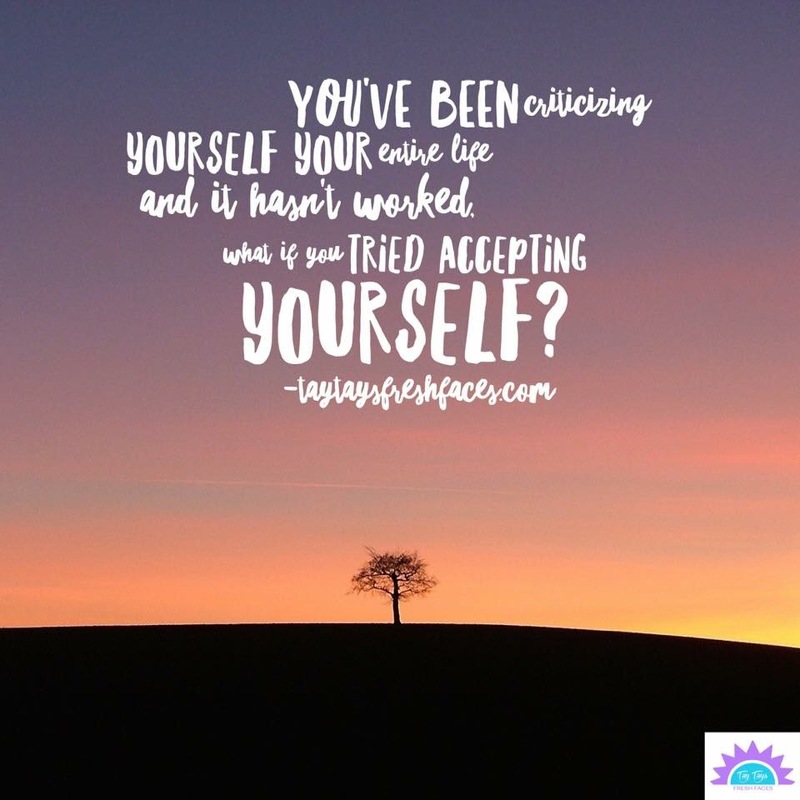 Do you continue to beat yourself up daily about the silliest things? Maybe it’s just a bad pattern and you can unlearn it. Maybe if your always brave enough to look within then you can begin to understand yourself better. You spend more time with you than you do with anyone else so why not learn to be your friend again. Hell yes! Your life is not meant to be lived by beating yourself up daily. I understand if you’ve never known anything else, I to was exactly like you. But there’s and awakening occurring in this world. Every single day more and more people are learning about consciousness. The world itself will begin to change and shift its energy, in a more positive way. There’s a new group of people on the planet waiting to share their stories, so you to can learn self love, and awareness inside your heart and your mind. Every new decision begins with you. Are you happy with yourself? Not in an egotistical way, those come from accomplishments and not from feelings. One can never be happy from things, awards, money, vacations, degrees, or anything that’s material. You must learn that happiness comes from within you. Things and people only make you feel happy for a short time. That’s because you cannot find happy outside of yourself. Sure you might feel the happy emotion for a minute, but it won’t last long. It will be short lived and you will be on to the next things that will make you happy. Stop looking outside of your own heart for happiness because you will never find it. If you want to learn more about looking inside yourself message me today!